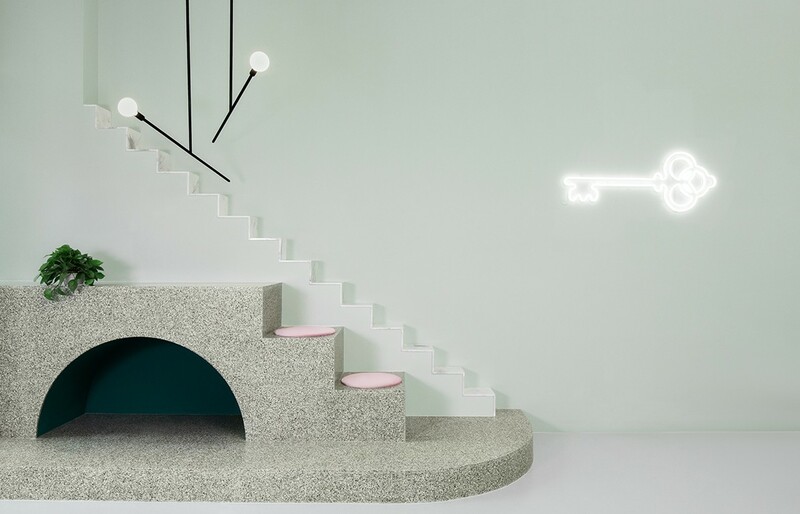 A Compact, Coastal Home By Top..
Nestled in the cinematic urban landscape of Chengdu, China, is a blockbuster destination with whimsical character and international appeal. 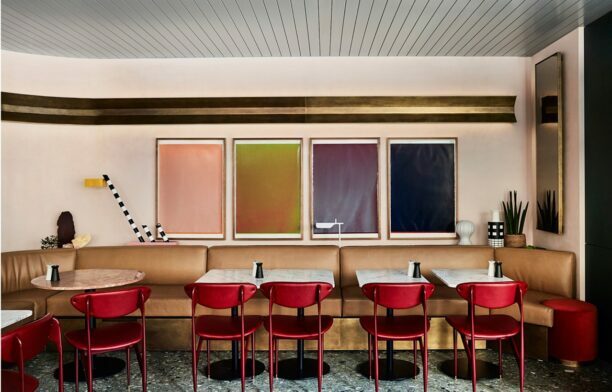 The Budapest Café is inspired by Director Wes Anderson’s distinctive visual style and Melbourne’s signature café culture. 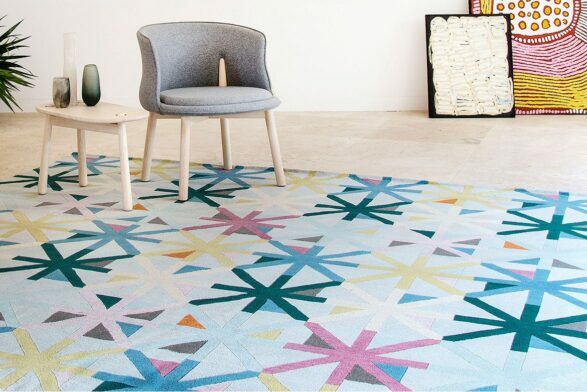 Every interior designer on the planet is talking about creative cross-pollination – AKA borrowing from outside the industry. But while many are talking about it – few are doing it well. Creatively integrating aspects of an outside source into interior design requires great design intelligence, foresight and finesse. 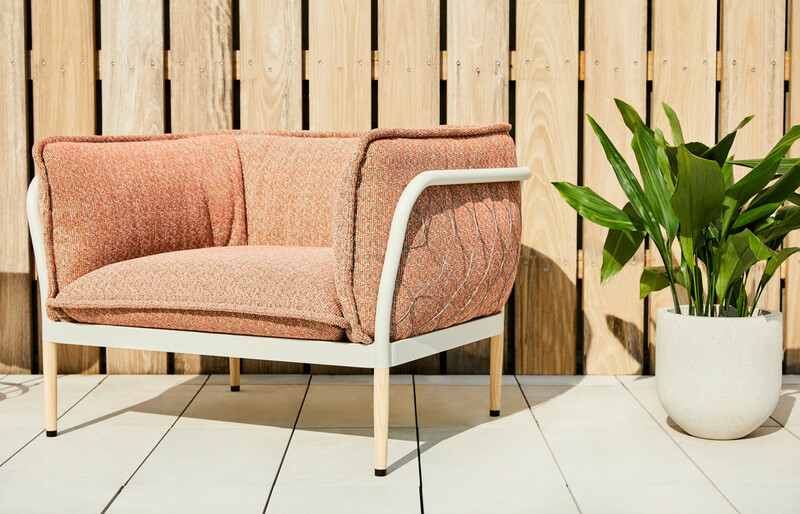 Belonging to this select few is Melbourne-based design studio Biasol. 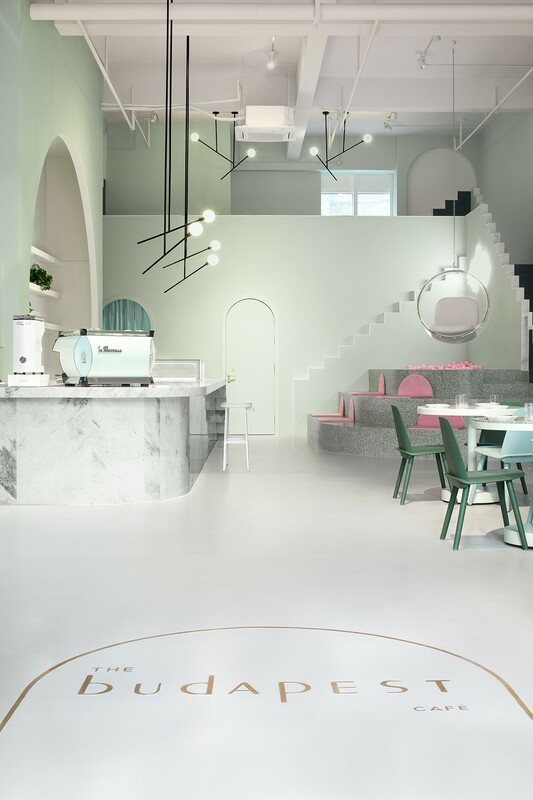 Their most recent project, The Budapest Café, is a whimsical hospitality project in China’s Chengdu providence. The film inspired design guided by the unmistakably nostalgic, nuanced cinematic style of art-house director, Wes Anderson. 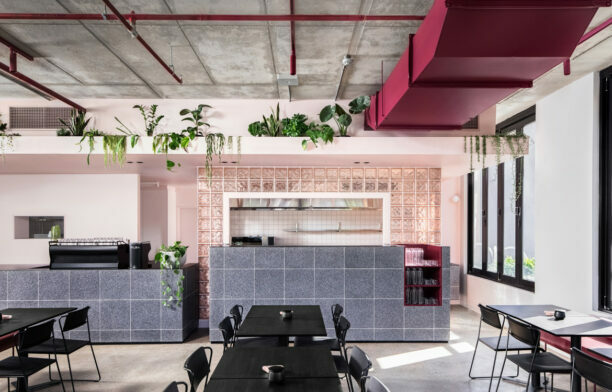 The Budapest Café is designed to feel feminine and fun, while subtly layering elevations and surprising design features to encourage customers to explore and physically engage with the space. 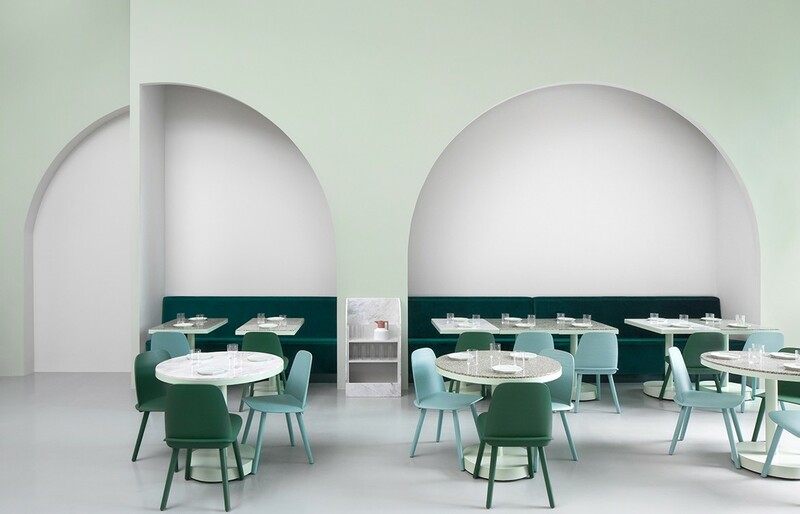 The concept, colours and details continue through the branding, which is integrated into the design of the café to contribute to the imaginative and evocative space. 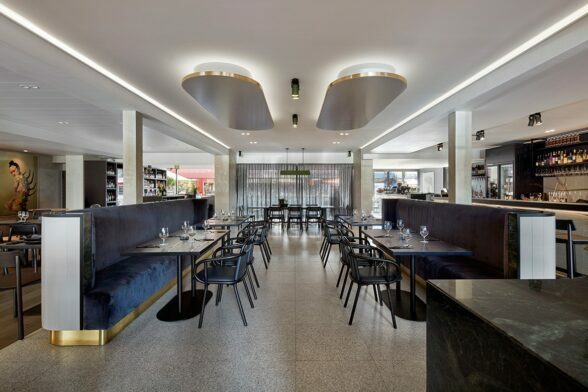 The client specifically engaged an Australian design practice to create an international hospitality experience, and requested a space that would appeal to social the media-savvy who enjoy café. This interpretation is sewn into every encounter with the space. 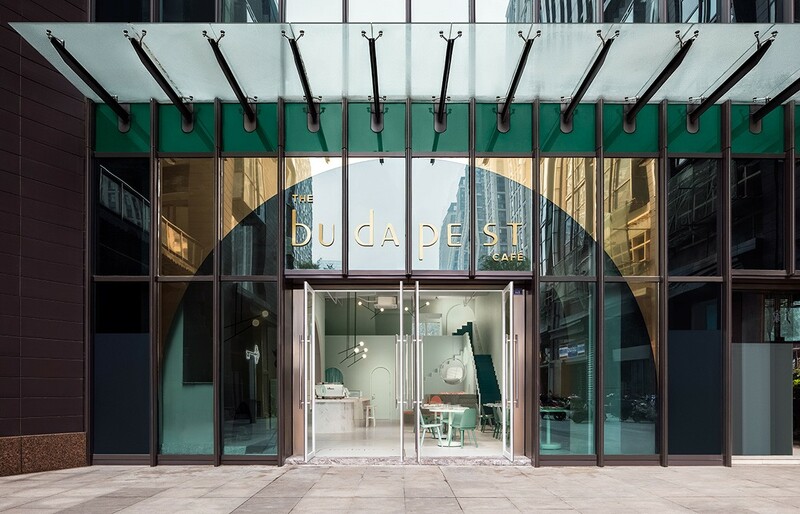 The building façade for example, projects a sense of grandeur with an arch framing the entrance and welcoming patrons to The Budapest Café. Once inside, customers are invited to engage with the physical design of the café, much like a stage set for patrons to play out their own story. A mezzanine level provides a view from above; symmetrical arches frame recessed seating and shelving; and steps lead up stairs that lead nowhere – instead are integrated into shelving, fireplaces and the long marble bar. 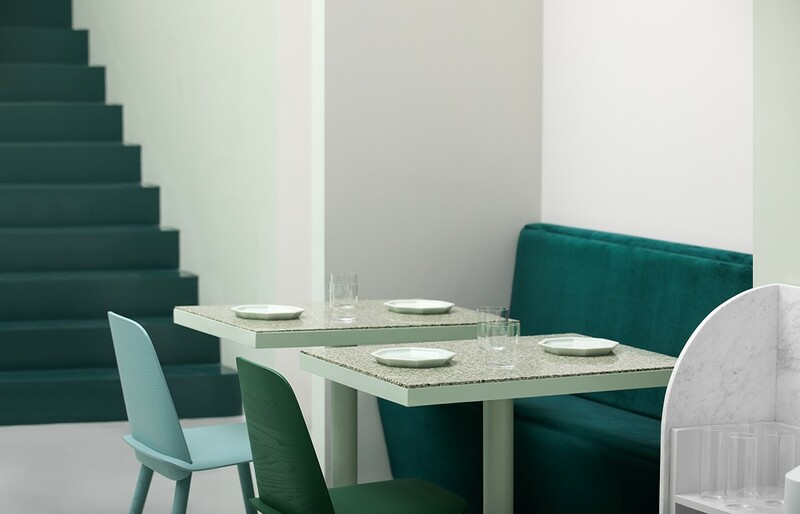 A pink ball pool, neon signage, and Eero Aarnio Bubble chair inspire playfulness, and the bathrooms surprise with speckled pink terrazzo to complement and contrast with the nostalgic-green hues of the café. 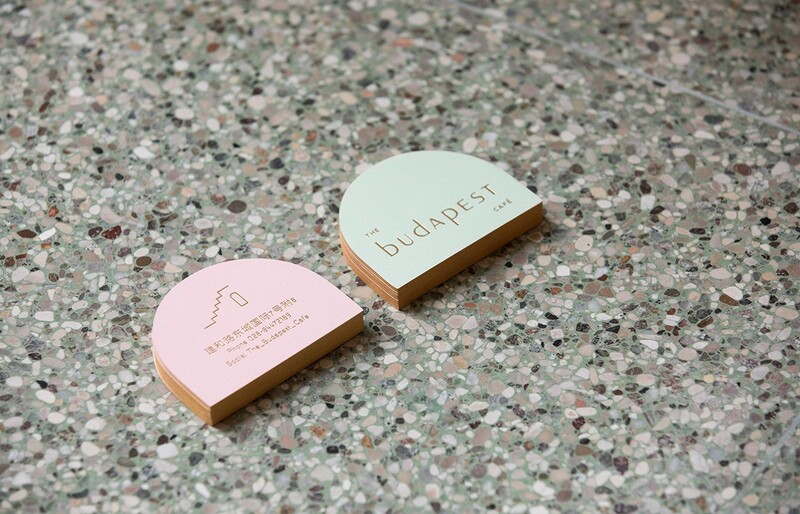 The contrasting hard and soft colours and design details showcased a film inspired design that reflects the personalities of Anderson’s characters in The Grand Budapest Hotel, enhanced by branding integrated into the café through signage, menus and printed collateral. 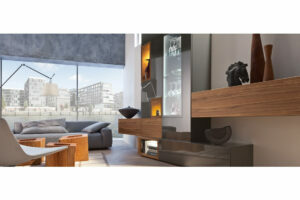 “Like Anderson, we create imaginative and evocative spaces. 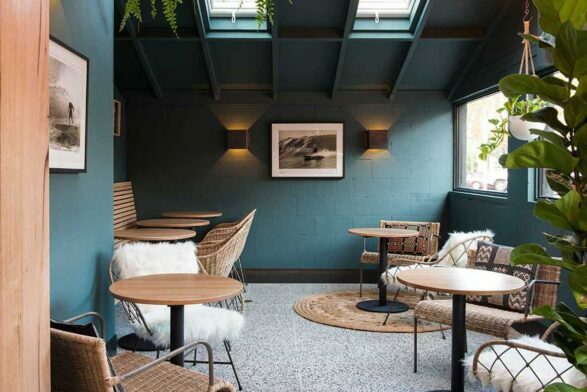 Our design for The Budapest Café has a relaxed and indulgent atmosphere; a whimsical and elegant aesthetic; and a hospitality experience infused with Melbourne’s café culture,” says Jean-Pierre.